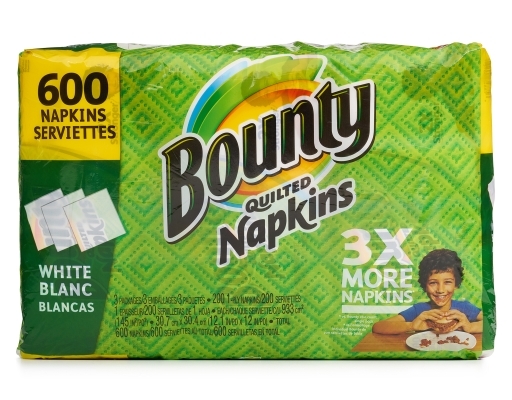 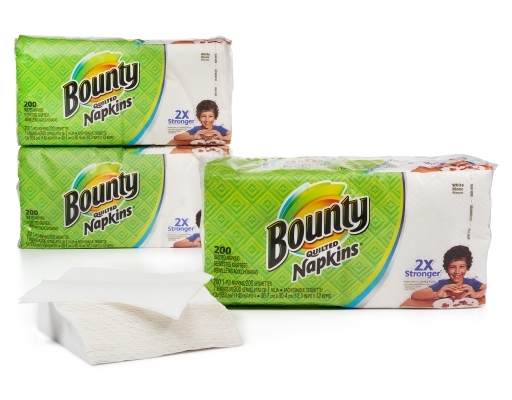 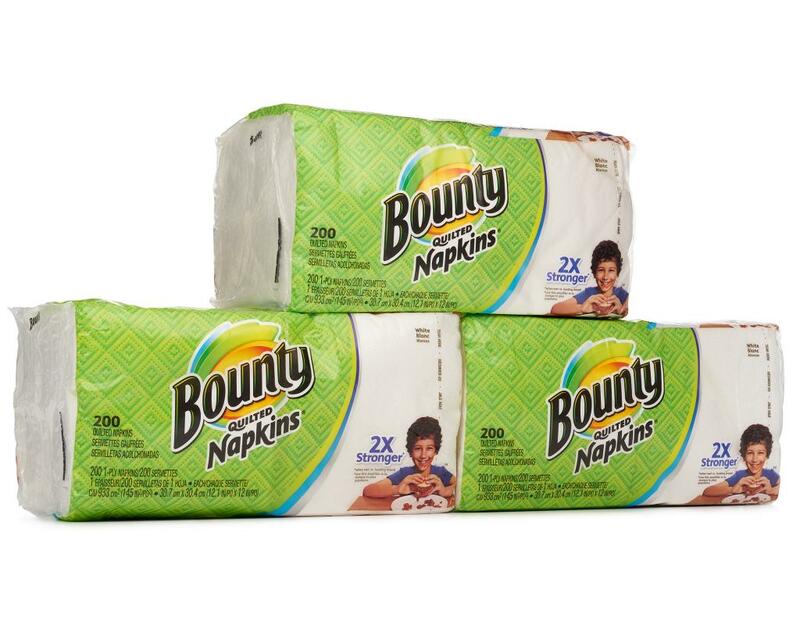 Clean up during and after meals with Bounty Quilted Napkins. 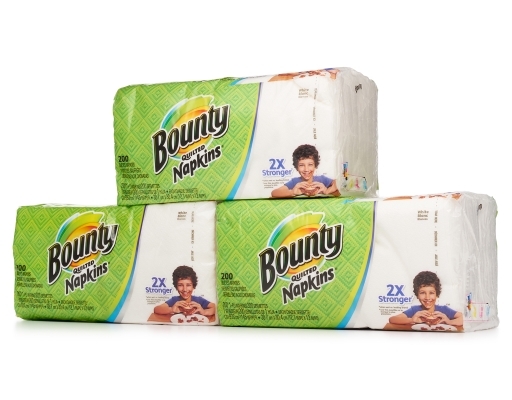 Now the trusted name in paper towels offers the same strength, thickness, and absorbency in everyday napkins. 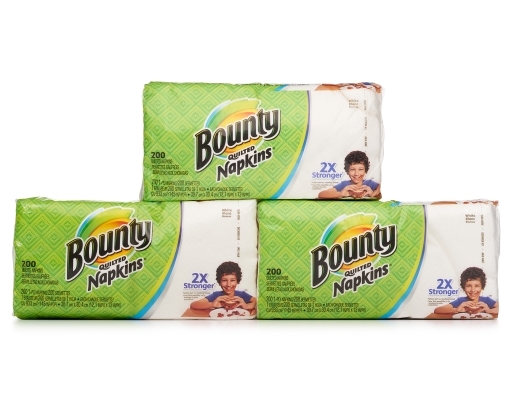 These Bounty napkins can stand up to spills, kids messy faces, and dirty tables, yet are gentle and soft to the touch. 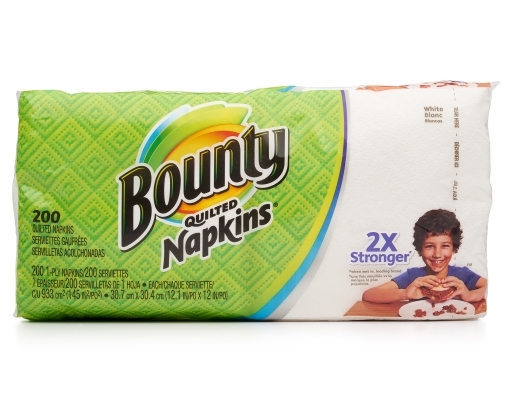 Trust the napkin that earned the Good Housekeeping Seal. 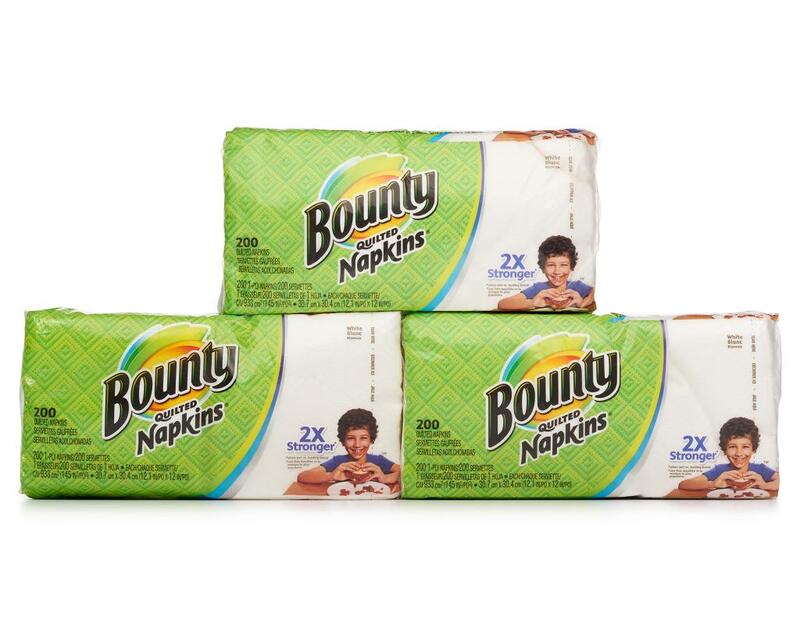 • One-Ply | 12.1" x 12"